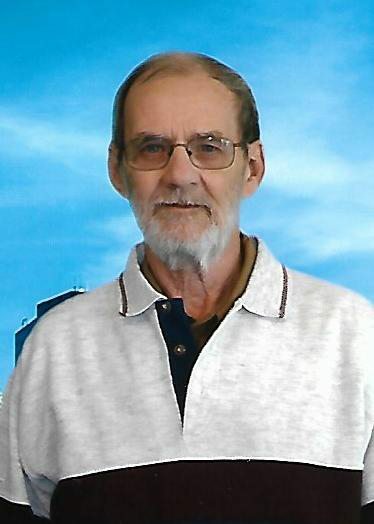 Michael “Mikey” T. Reed, 71, of Marshalltown, Iowa, passed away on Thursday, August 3, 2017 in the comfort of his own home, surrounded by his loving family. Funeral services for Mike will be held at 12:00 p.m. on Tuesday, August 8, 2017 at Mitchell Family Funeral Home. Public visitation will be held from 6:00-8:00 p.m. on Monday, August 7, 2017 at Mitchell Family Funeral Home where his family will be present to greet friends. Memorial contributions may be directed in Mike name to his family. For further information or to send a condolence please visit www.mitchellfh.comor call (641) 844-1234. Mitchell Family Funeral Home is caring for Mike and his family. Michael T. Reed was born on February 26, 1946 in Eldora, Iowa, the son of Harold “Tom” C. and Jeannette E. (Reiser) Reed. He was raised and educated in the Eldora School District, graduating from Eldora High School with the class 1964. On October 22, 1994, Mike was united in marriage to the love of his life Carolyn “Jamie” (Worsfold) in Las Vegas, NV. He was a hardworking man, dedicating 44 years with Fisher Control, where he had multiple tasks. Mike was a proud member of the UAW. His biggest passions in life were watching NASCAR, eating his favorite meal: Liver and Onions, spending time with his dogs, making people laugh and always staying positive in every situation. Left to cherish his memory is his wife: Jamie Reed; children: Michael Reed and Kelly (Dave) Mason; grandchildren: Ryan Witte, Mason-Wade Reed, Tanner Metz, Jaymi Mason, James Mason and Jack Mason; one great-granddaughter: Rylynn Witte; also three of his four legged furry companions: Ceaser, Brutus and Floppy. He is preceded in death by his parents, his daughter: Allison “Corky” Reed-Witte, his step-son: Phil Wedgewood and his sister, Janie. Mike fought a long and difficult battle with cancer and is now at peace but even through his pain he was always more concerned about everyone but himself.